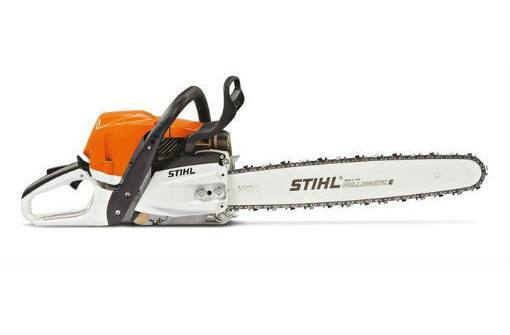 Brains and brawn come together in this well-rounded professional chainsaw. The MS 362 C-M features the same great power, weight and fuel efficiency as the MS 362, but also features our exclusive STIHL M-Tronic™ engine management technology. This innovative microprocessor-controlled engine management system optimizes engine performance and compensates for changes in operating conditions, such as temperature, elevation, fuel quality, and dirty air filters. It makes sure you’re working with optimal cutting power in any cutting condition. STIHL M-Tronic™ : This product features M-Tronic™ (M) - a new generation of Intelligent Engine Management that eliminates the low and high speed carburetor adjustment screws, compensates for dirty air filter and changes in elevation and fuel quality for optimum engine power at all times. Wrap Handle (R): Saw can be used in multiple positions for felling or limbing with hands in the proper positions. STIHL recommends #3624 (33 RS3-72) OILOMATIC® Saw Chain and 20” 3003 008 8921 Ematic™ guide bar. The actual listed guide bar length can vary from the effective cutting length depending upon which powerhead it is installed.